I found out at age 27, purely by being tested for something else, that I had PKD. I later found out that my brother also has it. We assume our mother had it as her death certificate was kidney failure. 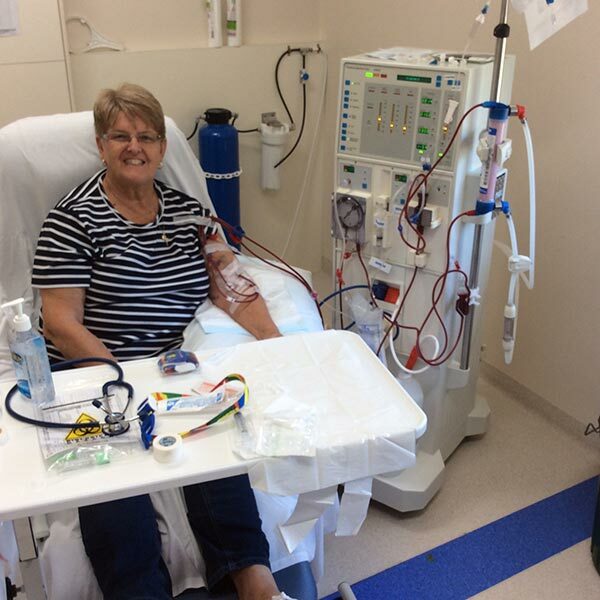 I lived a relatively normal life until around 2015 when my kidneys started to fail and I started haemodialysis. I did home haemo which gave me much more freedom than having to go to the hospital to do it. I got “the call” at quarter past twelve on Friday morning of 23 March 2017 that a kidney had been found for me. As I hadn’t dialysed for two days, I quickly went onto my machine and did a couple of hours of dialysis. I was told to then rest and be at the hospital by seven. The hospital being an hour away, I didn’t get a lot of sleep. In fact, I got none as I was so excited. During the day I did manage some sleep and as my kidney was coming from Sydney (I’m in Perth). I was wheeled in around five in the evening. I woke sometime during the night when staff were checking and asked how things were. The nurse told me I was already making urine. Things have never looked back since that wonderful day. I am eternally grateful to my donor and family for giving me this gift of life. The unfortunate part of my story is that I had four children before I was diagnosed and all four have PKD and are currently in different stages of progression. Six of my 13 grandchildren have also been diagnosed. The gene is very strong in my family it would seem. My brother also has four children. None of his children has the disease?